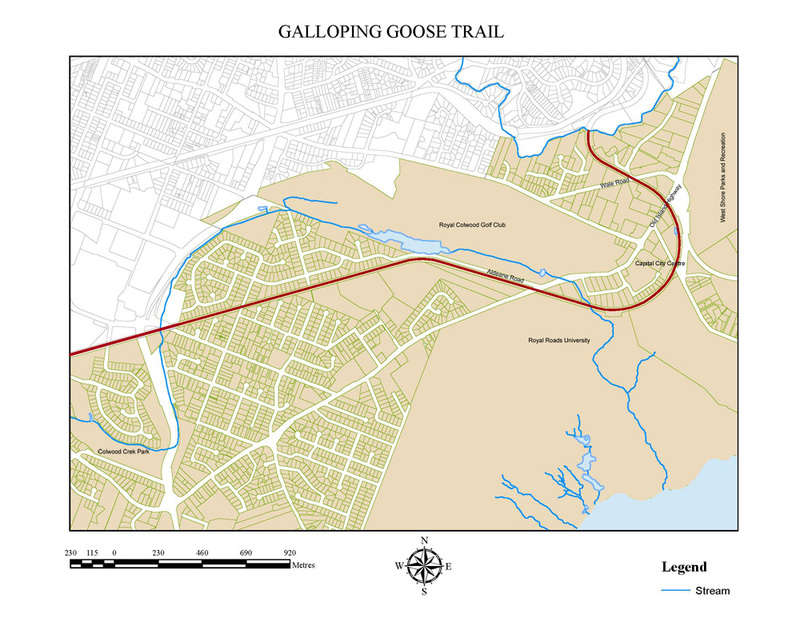 Cycle, stroll, jog, in-line skate, walk the dog, push a stroller, even ride a horse along the Galloping Goose Trail. Formerly a railway line, the trail is a popular route for both commuting and recreation. It meanders through urban, rural and wilderness scenery on its spectacular journey from Victoria to Sooke and makes it easy to get to Colwood on foot or by bike from throughout the Capital Region. From Victoria, the trail runs into Colwood behind the Old Island Highway, emerging on Wale Road. The trail crosses the Old Island Highway to continue through Colwood behind Capital City Centre and crosses Sooke Road at Aldeane Road to continue through Langford and on to Sooke. Access points at Wale Road, Old Island Highway, Aldeane Road and Kelly Road.